Are you planning on having a natural birth in a hospital? Planning for one is great but actually going through with it can be challenging! From the moment I found out I was pregnant with my daughter, I knew I wanted an unmedicated vaginal birth. I didn’t know exactly what to expect or how I was going to get through it, but I just knew I wanted to. 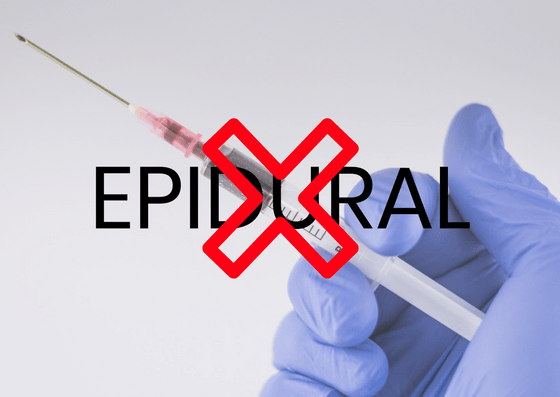 I hate needles and I didn’t want to have to deal with potential epidural side effects. I’ve heard of many women (including my own mother) who’ve experienced back pain at the site of the epidural injection years later. I didn’t want to deal with that. Of course, the pain of unmedicated childbirth certainly pales in comparison to getting a needle; But it was just not an option for me. By God’s grace, I was able to make it through my daughter’s birth without an epi. So when I got pregnant with my son, I knew I wanted to go that route again. And I made it! 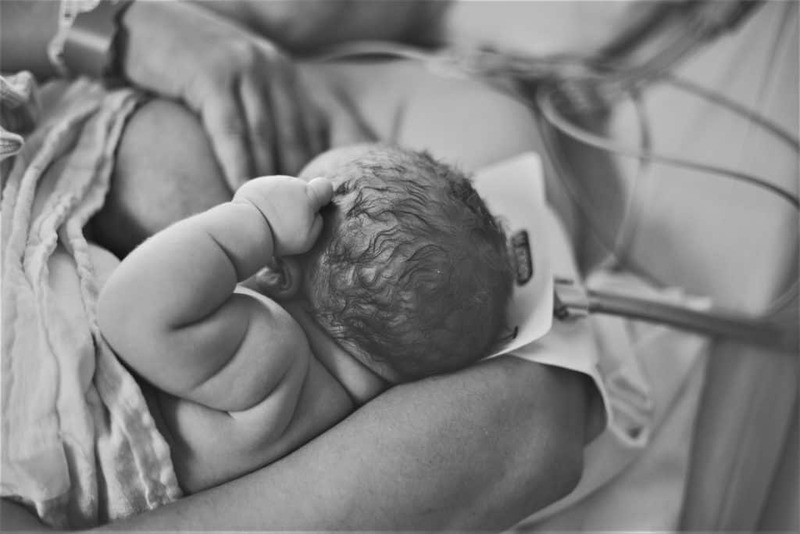 Are you planning to have a natural birth in a hospital setting? Nowadays, the majority of pregnant mamas do get an epidural, but the number of moms opting for a natural birth has been on the rise. There are so many benefits to having a drug-free birth not only for you but for your baby. 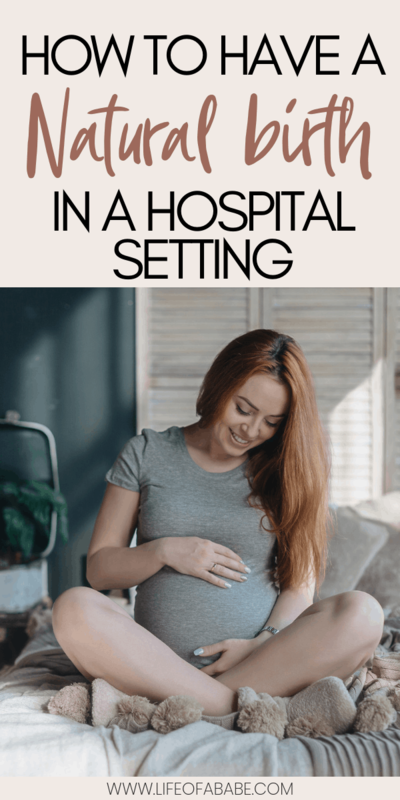 I’ve decided to put together 8 key tips that will help you actually make it to the finish line and have the natural birth of your dreams in a hospital setting. If your plan is to have a natural birth in a hospital, I would most definitely recommend preparing a birth plan. Trust me, I had both my kids naturally, in a hospital. The first time by an OB and the 2nd time by a Midwife. Although I had fairly smooth births, I totally wish I had a birth plan for my 1st birth like I did for my 2nd! I did quite a bit of market research to find out if there were other moms out there into birth plans. I was really shocked to see that many women (and their OBs) don’t care for them! “My OB pretty much told me to not have a birth plan because they can change drastically in the moment.” So by your OB’s logic, we shouldn’t plan outdoor weddings because it can rain at any time? “The goal is just to get baby out safely.” Umm…What about mom? “My doctor kind of dismissed mine the first time around. She said that every patient she ever had with a birth plan ended up in a c-section.” There are nearly 4 billion women on the face of this earth though. If they all have birth plans, will they all deliver their babies via c-section as well? Just asking for a friend. “You really don’t, it’s fine to just let them know verbally or go with the flow.” I was literally moaning, groaning, and growling during birth. I didn’t want to speak to anyone. “These are trained professionals that do this for their living and I trust that they want the best for me.” Wait till you see fact #5 in the image below. All of these comments frustrated me. 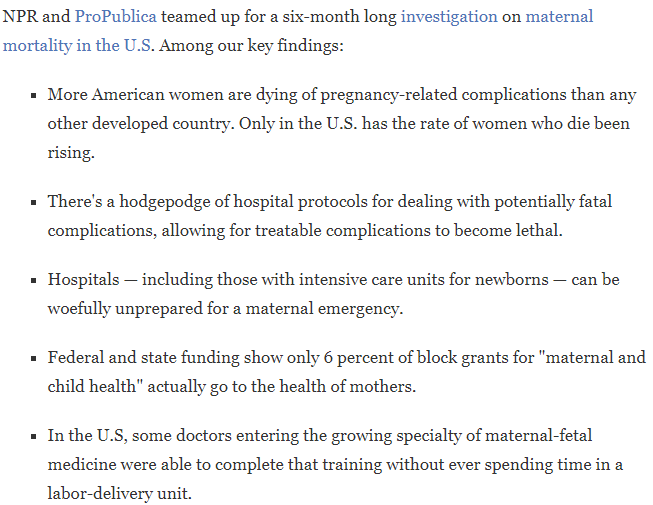 But it wasn’t until I dug a bit deeper, that I found some facts about childbirth in the U.S, that really floored me. Just as with many things in life things happen, and things change. Does that mean that we should just stop planning things? If you’re planning to have a natural birth in a hospital, you should have a birth plan. Why? Well, according to this study, women who give birth in a hospital are more likely to receive medical intervention during birth. I’m not about to leave it all in someone’s hands just because they’re a professional. No ma’am! Childbirth is a multi-step process, from labor to postpartum, so many things can happen. It’s not just as simple as “get baby out safely”. Some births are very straightforward, like mine were, and others a little more complicated. Either way, having a birth plan for a natural birth in a hospital is important. Things can go from 0 to 100 real quick and you really don’t know if you’ll be able to communicate your wishes in the middle of active labor. Having it on paper and sharing it with your birth team will ensure that everyone is on the same page. “You don’t get a medal for going through all that pain.” Ever heard this? The moment you tell people you want to have natural birth, I guarantee you that at least one person will question your decision. Some may even call you crazy! Considering at least 60% of mamas in America elect to get epidurals, you’ll quickly realize that you are part of the minority. It’s important that you do what you want to do regardless of what others may say. The only way you’ll really be confident in your decision to have a natural birth, is by knowing why. Ask yourself why you want to have a natural birth. Ask questions and read books to get educated about natural birth in a hospital. I recommend this awesome book by a world-renowned midwife by the name of Ina May Gaskin. What better way to prepare for a natural birth in a hospital, than to read a book written by a pioneer in midwifery, right? Her book is called Ina May Gaskin’s Guide to Childbirth. I’m somewhat of an information junkie and I like to be prepared. All the videos I watched (check out The Business of Being Born) and books I read helped me get an idea of what my natural birth would be like. 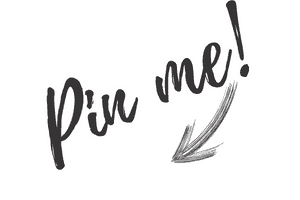 You can also join online natural birth groups where you can meet other like-minded mamas. Familiarizing yourself with what the entire process will definitely give you a boost of confidence. It is important that you think positive thoughts during your pregnancy and childbirth. This is definitely so much easier said than done but I believe that pregnancy is a gift and blessing that is meant to be enjoyed. The thought of childbirth and the pain associated with it can be scary, but remember that it is pain with a purpose! Stop thinking focusing on what can go wrong (like pooping or worse…tearing during childbirth) and how long it will last, and just focus on the bigger picture! Having trouble staying calm and thinking positively? Go get your Pregnancy and Childbirth Scripture and Prayer Prompt cards printable! “I wouldn’t mind being in labor for 3 days,” said no mom ever! 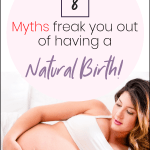 Don’t forget to check out this post if you want a quicker and easier natural birth! You need to make sure that your hospital’s policies (especially for Vaginal Birth After Caesarean mamas) and your healthcare providers’ practices align with your birth plan. If you want to go for a VBAC, you need to ensure that this is something that your hospital of choice/healthcare professional will allow. Make sure you do your research and look around until you find the hospital and healthcare team that will support you in your decision. If you’re concerned about you or your birth partner not being able to advocate for you during birth, consider getting a doula. There is nothing more annoying and frustrating than someone offering you something you don’t want. Especially when you’re in LABOR. Like hello?? Did you NOT hear me the first 5 times I said NO?! Prepare a birth plan and hand one out to everyone who will be in that room come D-day. Remember, you’re the boss. Ok? You’ll probably want to head over to L&D as soon as your water breaks or your contractions start. My advice to you is: wait. At least until you are in active labor (6 cm, per the ACOG). The earlier you go, the more likely you’ll experience a series of potentially unnecessary medical interventions. I do want to mention that everybody is different. For example, during both my pregnancies I was told to go in once my contractions were 5 minutes apart and I was no longer able to talk through them. Most women are told this however with my 2nd pregnancy, I felt no pain whatsoever. You can read more about my crazy experience with painless labor here. All I felt was my stomach tightening every 2-3 minutes but NO pain. I walked into L&D expecting to be sent home but my MW checked me and I was 9cm dilated. I didn’t feel pain until my waters were broken! So I probably would’ve given birth at home if I didn’t go in. Some will feel pain at 1cm dilated and others won’t until nearly fully dilated. Every woman is different. Make sure you confirm with your doc when you absolutely need to go to the hospital. Stressing out will drain you of your energy and rob you of your joy. Pregnancy is a blessing that is meant to be enjoyed. Don’t let fear and worry rob you of this joy! Me holding my miracle baby girl Samaiya Grace moments after she was just born. 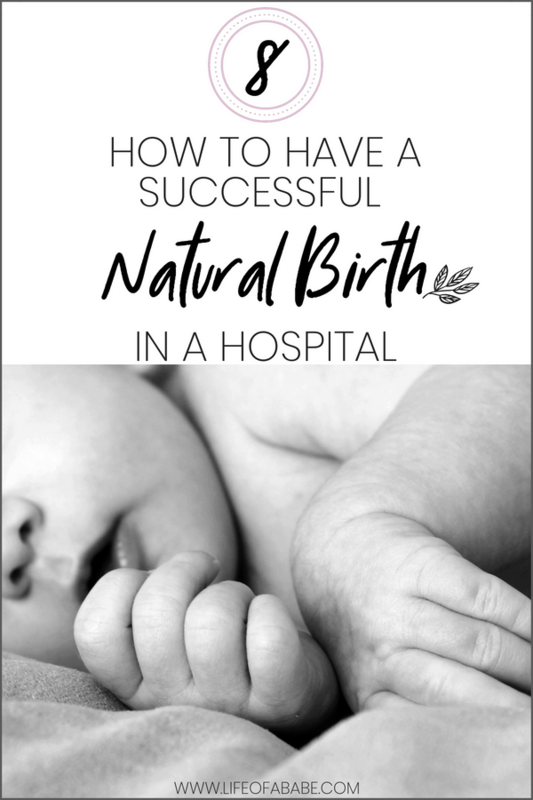 I hope you found these 8 tips for a natural birth in a hospital helpful. I honestly found that giving birth naturally was extremely empowering for me. There are so many benefits to giving birth without the use of drugs. The pain you’ll endure will be nothing like the joy you will feel once you get to hold your baby. I’m grateful that I was able to deliver my babies naturally but I know that everyone’s experience is different. I am no better than the next mom who gets an epi or a C-Section!! Don’t ever let people’s opinions and judgment make you feel bad about you want/have to do. At the end of the day, what’s most important is your well-being and that of your baby. Have you had or will you be having a natural birth in a hospital? Mamas who give birth naturally are a miracle. I just don’t know how they can sit through that much pain. My first pregnancy was a lot more difficult than my second. I had to be induced because my son was “late” and had growth restriction in utero. But I remember the pain on both accounts and it was rough. This is awesome! I’m 100% for natural births! And my hospital was so amazing and accommodating! I labored naturally but opted for the epidural right when it was time to push, even tho I wasn’t in pain. I was just scared. But if I have another baby I already know my body is capable! You are a rockstar! I wanted a natural birth with my second, because while I had no complications from my first epidural.. I just hate needles. Unfortunately, I chickened out. The pain was honestly too much for me. I’m even mad now that I asked for it, because they checked me and I was a 6 almost 7 when I got to the hospital. And I got it as soon as I got into a room. But when my nurse checked me right after I was 9 almost 10. I should have just waited another 30 minutes and I would have had my daughter naturally. This post brought back many memories! 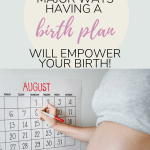 I had a VBAC, also natural, in a hospital, and I think confidence and knowing my birth plan are amongst the things that helped me on the day 😉 Lovely useful post! I had an all natural birth. It’s what we planned, but halfway through I wanted that epidural! I say it’s great if you want to try without it, but be prepared to change your mind and if you do, do it soon enough that they can get it ready. By the time they could give me the epidural, I was ready to push, so at that point, I was just like nope, don’t bother, lol! I don’t plan on any more kids, but if I did it again, I would definitely get the epidural. Definitely. Changing your mind is OK if it’s something you want to do! Every woman’s experience is different and that’s what make childbirth so beautiful. Empowering women to make informed decisions is so important. If a woman chooses to go the natural route (and is medically able to), this is so helpful! I had both my boys through natural birth and I wish I did some of these things. Definitely! Being informed is key to having an empowered birth! I’m glad you found this helpful thanks for reading! Bookmarked so I can have it handy when I have kids! Thanks for the tips! Glad you found this helpful, thanks for reading Donna! I wish I had the natural experience both my boys was emergency situations due to preeclampsia and a torn placenta. Great source! I’m sorry you had complications but out of it all, you still have your beautiful boys which is really what’s important. You’re a strong women either way having carried those boys to life! I give mad props to mamas who go it natural. I was all about the drugs each time!!! We’re all still strong women! Giving birth is no joke (doesn’t matter how) so props to you! Thanks for reading! You’re a warrior woman! With my high risk pregnancy & complications, it was best for us to have an induction and be closely monitored for baby and me. Each mama is different, each pregnancy is different. To each her own. I wouldn’t change my experience for the world. I loved that I knew when my little one would be here and that we were able to keep baby and myself monitored and safe through the whole process. These are fab tips! Finding a doctor and a hospital that will be on the same page as you is so important! A few of my friends who have gone all natural had to interview a ton of doctors to find who they ended up with and they wouldn’t change their experiences for the world! Hey Sara! You are so right! Every experience is different and unique. There is beauty in each experience. I’m glad you enjoyed this post. And yes, finding a hospital and birth team that is on the same page as you is very important. I am currently pregnant with my 2nd and really want to do a natural birth. My first pregnancy I had an epidural and planned that going in. You are right, when you go in right after your water breaks, they immediately intervene. They induced me within hours and just basically told me they were doing it. I found out after the fact they didn’t need to do that. Women need to do a lot of research so they can stand up to the doctors and know your rights, which is pretty sad nowadays. Fingers crossed I have a painless labor like you this time around. Lol. We can all hope because that’s amazing! I’m sorry they completely took over your birth without letting you know about other options. I’ve heard about this happening to so many moms which is why I’m so passionate about encouraging women to take control of their births and to learn as much as possible. I’m happy you’re going to try going the natural route this time. I hope that this article gave you some reassurance that you can totally do this. Good on you for wanting to be informed. All the best to you Samantha! I love the kind of concern about your readers you’ve borne in your mind while writing this, Mallaury. Very much like you said, childbirth is nothing short of a miracle n matter which method is carried out. This is a great post & I hope to read more of such kind. Thanks for your kind words Ashvini :). Childbirth is truly a miraculous event! It’s because of these type of comments that I keep working hard to put out great content. Thank you so much!! It’s a paid theme but I customized it myself quite a bit! I really appreciate your comment. It really encourages me to keep putting out content. What an amazing resource! I so wish I could have had a natural birth with my three! I gave in with the first on and then didn’t have the courage with the last two lol! Ahh..Childbirth is definitely not an easy thing, no matter the method. But you know in the end, all we want is to come out alive and healthy with our babies in tow! Thanks so much for taking the time to read and to comment! This post is so perfect! I decided to have a natural birth with my daughter and ended up with a c-section due to some complications and I’m about to have my second and have also chose to do it naturally with this one in a birth center with a team of midwives! I’m excited but also nervous since I’m planning on doing a VBAC, but I cannot wait! This post is encouraging and informative! So thank you! You know how childbirth can be. Sometimes we want things to go one way and then they end up going another. Ahh..I’m happy that you’re going to attempt a VBAC at a birthing center with a TEAM of midwives. Wow! You’re set up for success. I hope you see this message and report back just to let me know how things went. Praying that all goes well! When are you due? Did you already have your little one? Were you able to have a V-Back as you wanted? I had my first by C-Section but have had 5 other babies after by way of V-Back. Hope you were able to have a V-Back and your baby and you are just fine! These are great tips, and very interesting!!! Thank you for sharing! Thank you so much for taking the time to read Bekah! That’s so awsome! I admire your strength. I have had 3 children all with an epidural. My first was super painful as soon as my water broke but my other two were not. I had the tightening feeling with my third baby and no pain at all. The tightening was coming in every 5 minutes so I thought I would go in to the hospital because my labors are very fast. Like one push! So I go in and I was at 7 cm. Honestly, I probably could have gone natural but I was too nervous! So anyway, I envy your strength to just do it! Thank you so much for sharing your story. Labor pains are no joke!! It seems like your last labor was similar to mine in that we didn’t experience any pain. How cool is that? I was scared the first time around not knowing what to expect but it wasn’t all that bad. Still the most pain I’ve ever been in my whole entire life but it’s worth it in the end, right? Great post! Both of our kids were born naturally. The second time was much better than the first time. Agree with your points. Thanks for sharing!